My son is 5 years old he has been in the pool since he was 10 months old. He is not afraid of the water, but he cannot learn to keep his mouth closed and blow out his nose. I understand your concerns but we are supposed to use our mouth to breathe in and out during swimming, not our nose. If your son is swimming along with his mouth wide open, taking in gallons of water, then yes this is a problem. He should be swimming with his mouth closed unless he needs to inhale. The reason we use our mouth to breath during swimming is the simple fact that the opening of our mouth is larger than our nose and therefore we can get more air in and out in a shorter time than we can though our nose. Teach your son to blow bubbles on the water surface. Get some toys to blow along and turn it into a game. Kids always learn fast when whatever they are doing is fun and enjoyable. Egg flips are great fun and a great learning tool. They are designed to flip over and change colour when they are blown. Gradually over time breathing in and out through the mouth will become second nature to your son and he will develop a natural breathing technique ready for when he starts to learn the four basic swimming strokes. In the mean time make sure whatever you do in the water with him it is fun and enjoyable. Use plenty of toys that float and also toys that sink to that he can also learn how to hold his breath and submerge. That is of course if he is not already doing that! I hope you find this advice helpful and I wish you and your son every success with your swimming. 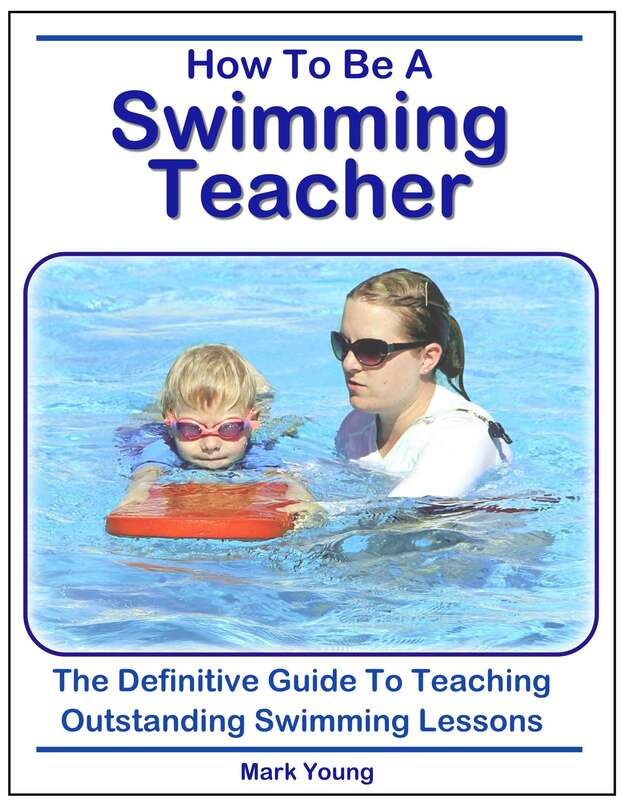 Discover how to deliver swimming lessons that get results with the definitive guide to becoming a successful swimming teacher. Join in and write your own page! It's easy to do. How? Simply click here to return to Teaching a child to swim.